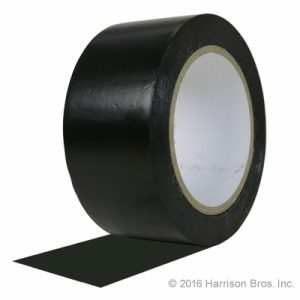 Many tape manufacturers label the product used for dance floor seaming as “splicing tape”. That is because the seam of tape used to bridge the gap between two separate sections of vinyl dance floor is called a “splice”. This splice needs to be held firmly so that the floor won’t shift as the dancers feet move across the dancing surface. When splicing sections of dance floor together, leave a gap of about 1/8 inch so that the floor won’t push against an adjacent section as it expands when it becomes warmer. « Mop? Yep! Ammonia? Nope!